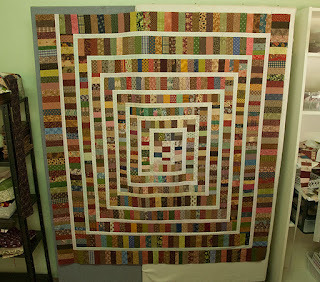 This quilt was a scrap monster, it ate up so many pieces from my scrap drawers. I'm glad to be able to shut the drawers easily, glad that I have another quilt top nearly completed, but most of all I'm glad that I can clean up my sewing area and restore some order. This sort of project is so unorganised and messy, after a while it really gets to me, and all I can think of is finishing it and getting my life back. It's a strange attitude. 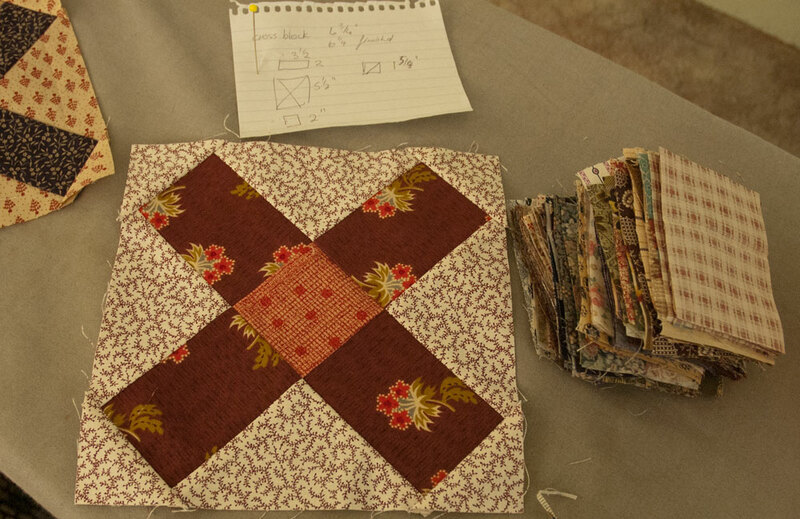 If I didn't like these quilts I wouldn't make them, and yet they drive me nuts while they're in progress. 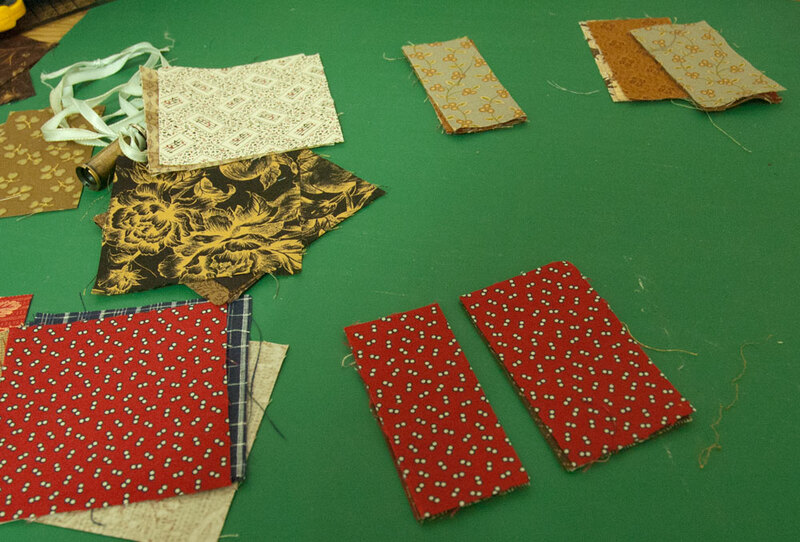 Next project is going to consist of neat piles of carefully chosen fabric, not a sea of chaos. 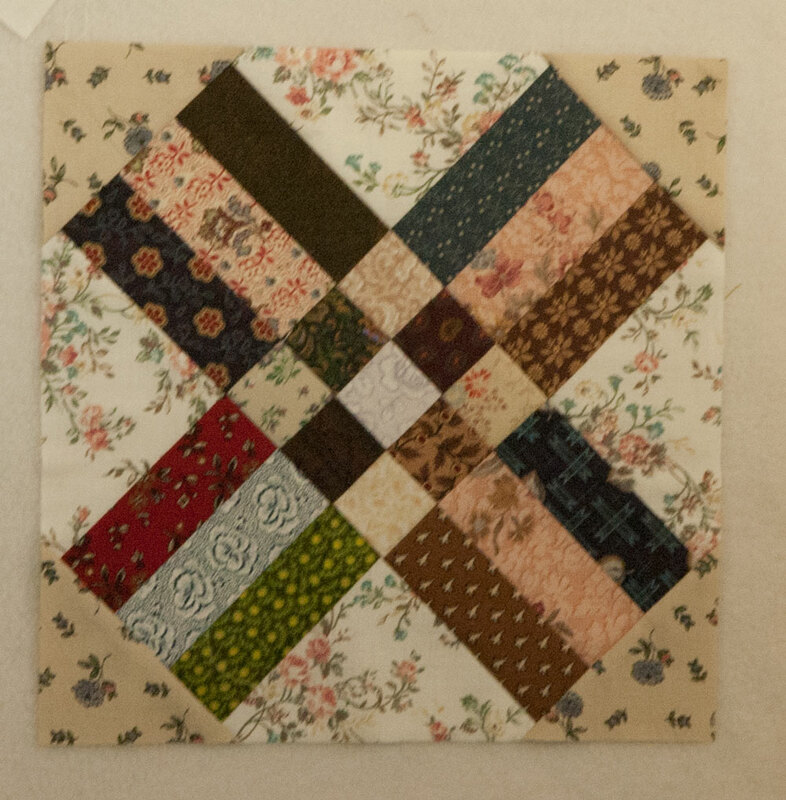 It refused to become rectangular enough, so I will have to add some bits top and bottom; I'm thinking something from my drawer of 3.5" squares will do the trick. But it can wait a while, there are other things I have to work on. I'm doing a very strange quilting project; it's for a lady whose son was part of the winning crew on a boat in the Sydney to Hobart yacht race. He gave her the flag, and she wants it turned into a quilt to snuggle in when she's feeling down. She has cancer, so this quilt will end up being like a hug from her son. The flag is polyester knit, the batting is two layers of flannel and the backing is polyester poplin; it's an awkward combination to work with. 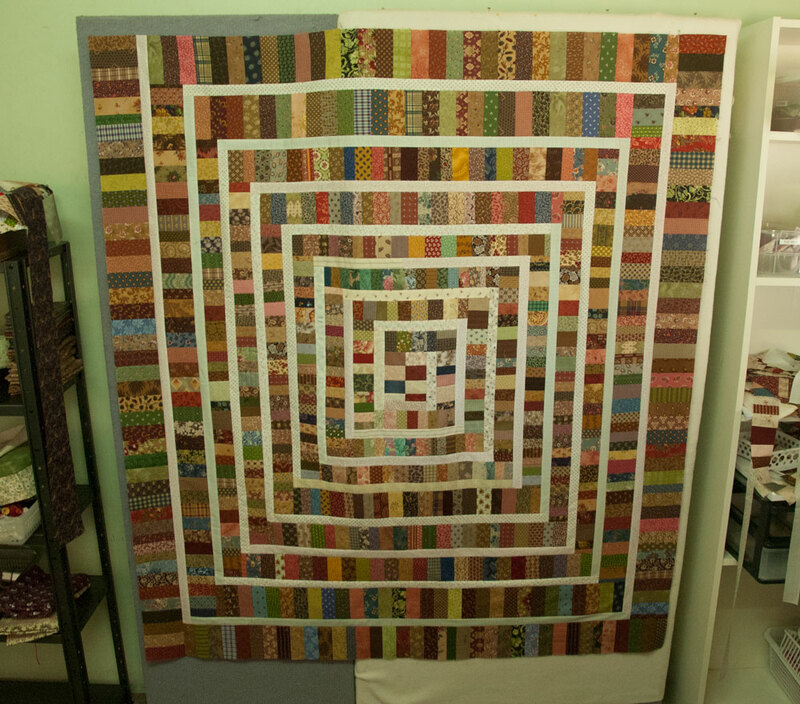 It's 105 " x 95", absolutely huge, and she wants the cords left attached, so it's going to be an odd thing to quilt. It's a worthwhile thing though, I hope it brings her a lot of comfort. 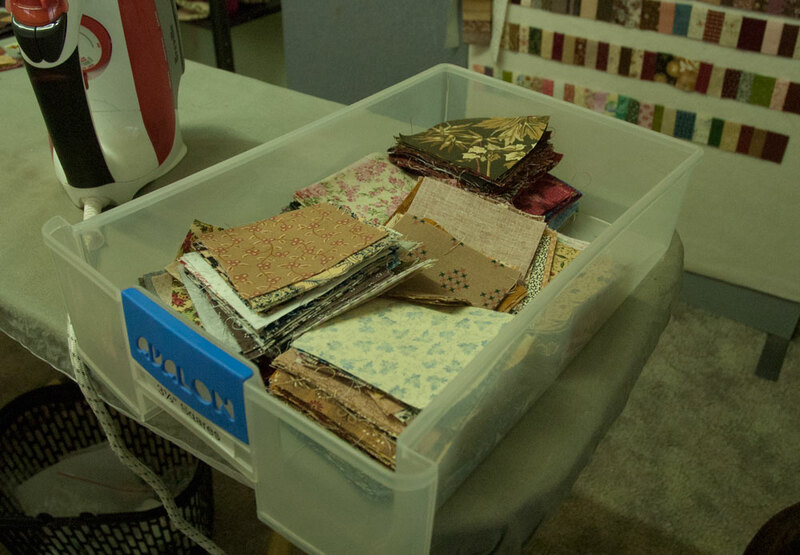 My area is all tidied up, ready for the next lot of sewing; what a lovely feeling that is! My word from last year is still a favourite. Onward!! I had a list of things to accomplish on the weekend, but I was sidetracked by my scrap projects. 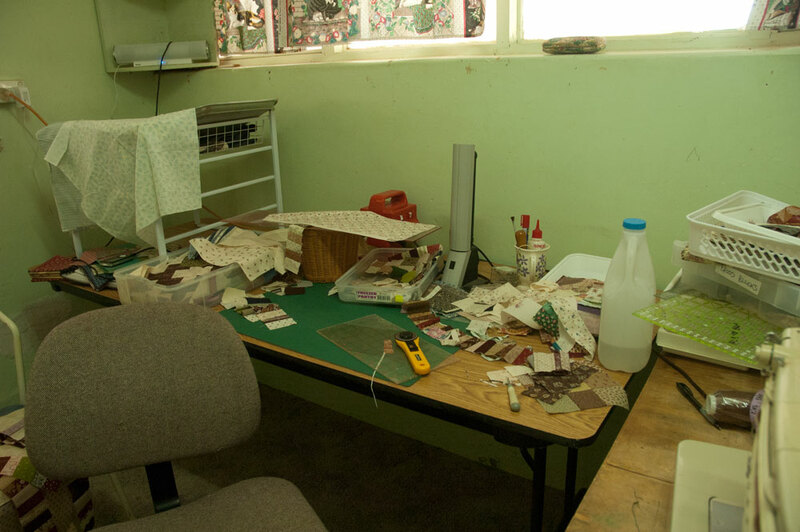 I just sat in the sewing room and stitched little pieces together, and it was wonderful. This is the major project, and it's devouring scraps at a great rate. I've used up all the tiny ends of strips that I collected, now I'm moving through all the other scrap drawers and weeding out bits to use in this. I love the effect of all those random tiny scraps, and the off-white spiral moving through them. It's so lovely to be enthusiastic about a project; I always enjoy sewing, but sometimes it doesn't take much to draw my attention elsewhere. Not with this design though, I just want to sit at the machine and feed more pieces through. I want it to be more rectangular, so the top and bottom strips are going to be 3" finished, and the sides 2" finished. I can also see some more drastic measures will be necessary to get the proportions that I want, but I'm still planning what that will be. Maybe crumb piecing? Who knows. 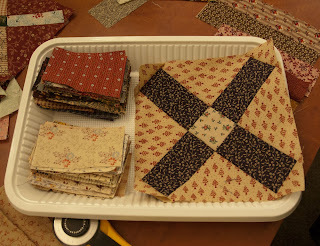 I needed a lot more pieces for the scrappy cross blocks, so I pulled out the drawer of 3.5" squares. I have way too many of them, remnants from three projects and all the scrap cutting I did last year. So I selected some that would work in both the projects on the design wall, and cut a 1.5" slice from them. That little slice goes into the cross block pile, and the remainder goes into the scrappy spiral pile. I'm making nine-patches from those little slices too, it's really working out nicely. I'm using up a heap of scraps, it feels like a good way to start the year. 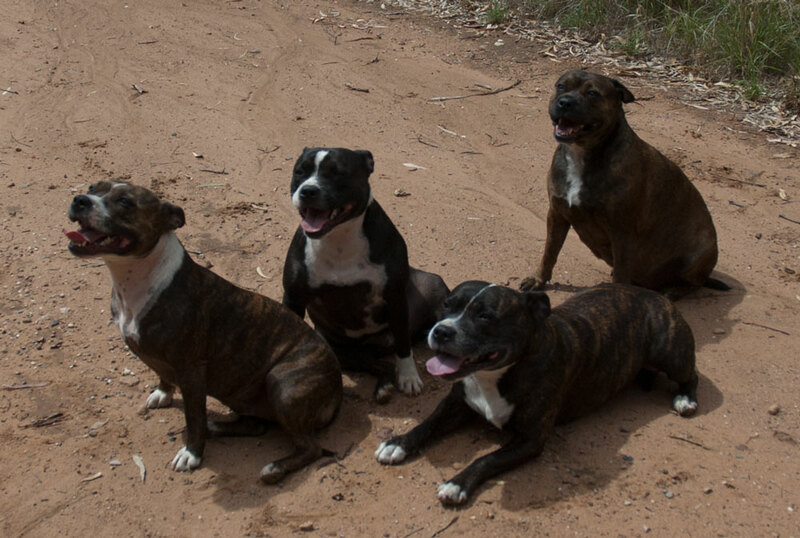 Last week Matt took all the dogs for a walk down the Heyson Trail; this is a picture of the Staffies, all sitting still for once. Jessie was buzzing about in the long grass, a law unto herself as usual. 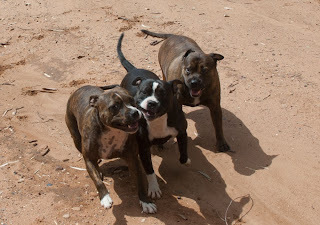 What is the collective noun for a group of Staffies? 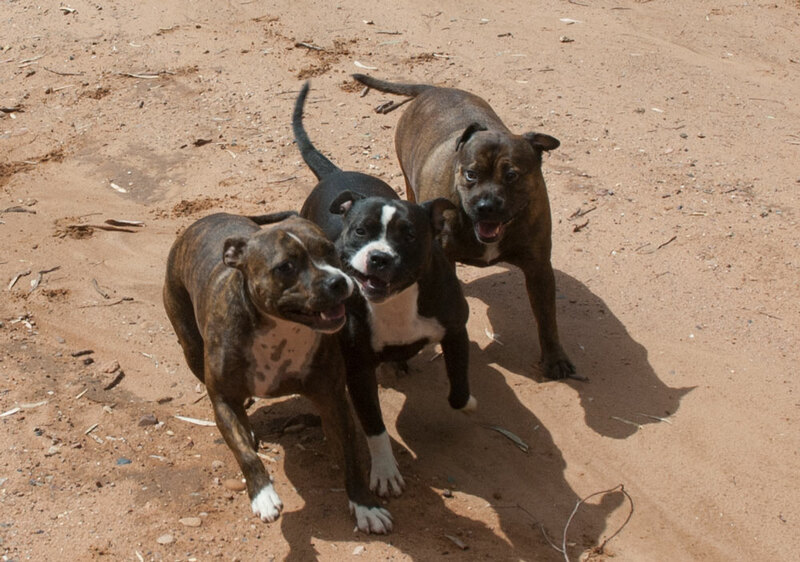 A scramble of Staffies? They are a rambunctious lot. This is what they normally look like, unless ordered to sit down for their photo. 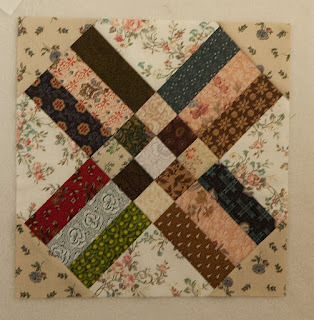 As much as I want to make totally scrappy, random quilts, I just can't. I spent 15 minutes this morning unpicking a white shirting scrap in one of my projects; in my eyes it destroyed the whole look that I was aiming for. A 2" x 2.5" piece dragged me to a standstill, because I hated how it interrupted the design. This morning I whipped the piece off the design wall, replaced the offending bit, and now I'm ready to build it bigger. All the time I could hear a voice telling me to leave it be, overlook it, go with the bigger picture. One day I may be able to do that, but not this day. Today I'm just happy that scrap is gone. This is my design wall this morning ( or part of it, there's more to the left, but I'll show that later). 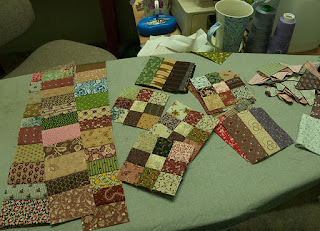 12 scraps per block, much more respectable way to whittle down the pile. 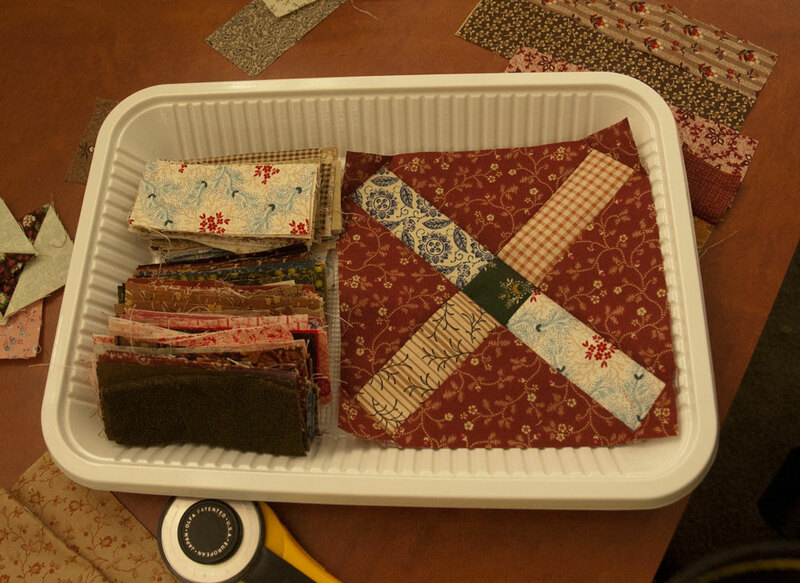 And it will also help use up the drawer full of 1.5" squares, that will no longer shut because it's crammed so full. This is a UFO that I still love, and still want to finish, but I'm just sad that I used such weird red fabric for the centre cross. It's not something I'd ever buy meterage of, so it must have been a FQ in a bundle or something. And in my Use-it-up phase I just slapped it next to those nice repros and called it done. Don't like it at all, but I need to overlook it for now. I'm going to make a shedload of these blocks and then see if the horrid red still stands out. Bet it doesn't, but we'll see. This embroidered piece is something I made in 1982, as a gift for Mereth. I thought she could make a cushion cover or something from it, but somehow it came back into my possession. You can't really see from the photo, but it has some brown foxing marks on the calico, and I don't know whether to soak it and see if they come out, or tea-dye it to disguise them. I'll ponder that this weekend. 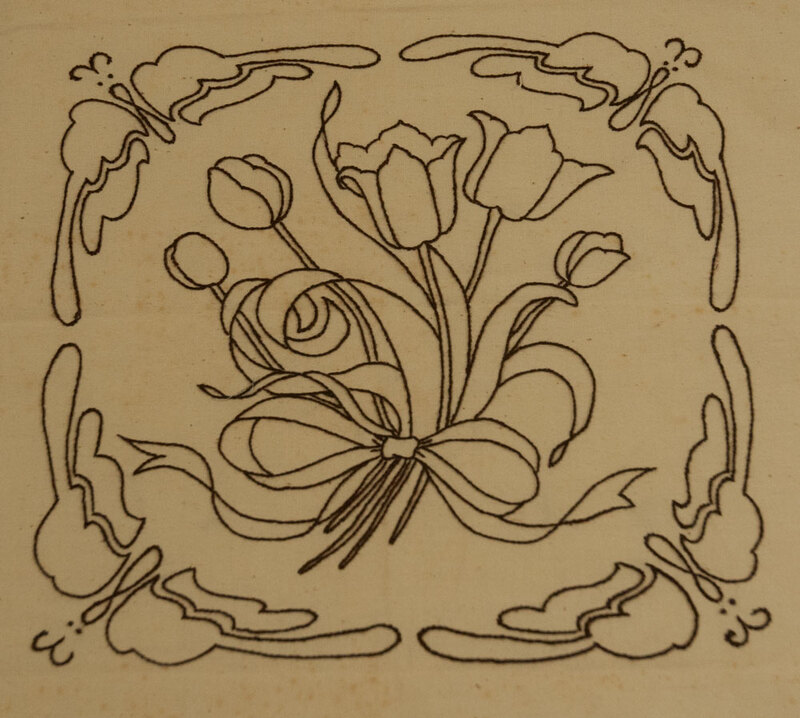 I took the design from a McCall's book, and though I really enjoyed doing it, I've never repeated the exercise. I'll finish this, probably as a framed piece, and then see if it inspires me to do some more stitcheries. 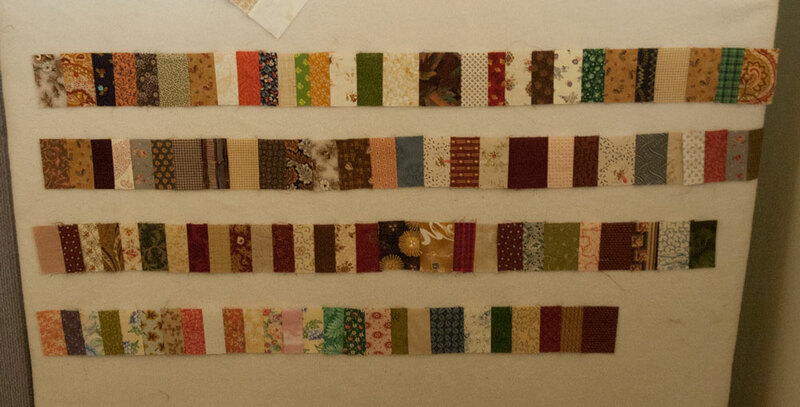 These are some of the scrappy bits of 2.5" strips that I saved all last year. I have a couple of projects planned with them, but I quite like the look of them separated with horizontal spacer strips. It's sort of like those DNA tests, with all the little vertical lines. Simple and effective. I've spent three hours in the garden this morning, time to get into the sewing room and make some progress. I hope to have lots more blocks finished before bedtime tonight. I never did sit down and work out any New Year's resolutions. The whole holiday season went by way too quickly for any sort of reflection or introspection, which is not a good thing. Time to think and plan is important, and I don't seem to have had any. On New Year's Eve Doug, Bev, Mereth and I were watching episodes of The Virginian and totally missed the moment when it became 2012. So we didn't even toast the New Year, which is good, because I was stopped and breathalysed on the way home, and it would have been very embarrassing to have been over the limit! It's been interesting to read other blogger's New Year posts, and find my own thoughts echoed. I agree with a lot of what Carrie says in her Clean Slate post; it's so hard to choose a direction and then stick to it, hard to know what to choose to spend time on, and it's scary sometimes too. But without new directions and the willingness to take a risk, life just become more of the same old stuff that didn't thrill the first time around. My word for this year is Consider. Instead of stumbling along without any real thought about what I'm doing, I want to take time to look at options, choose what I need to do, think about the consequences, plan a course of action, enjoy the rewards. I'm tired of life just swirling by in a mad rush, and grabbing at opportunites, rushing to fill obligations or regretting what I didn't get round to. And I want to be more considerate of other people too, spend more time with friends and family and have a stockpile of good times to look back on. The way life is now, I mostly just work, and that's not always fun. I need a plan for my quilting, a list of new projects and a schedule for my UFOs. I'm certainly not disciplined enough to do one a month; if I'm in UFO mode then I want to finish three or four all at once. So I will just list what I would like finished by the end of the year, and dedicate some time to that; I'll group them by the amount of work needed to get them to a completed top, and then try to spread them out during the year, so that I do one major one and three or four smaller ones at a time. And quite a few are going to be abandoned or repurposed. I still need runners and tablecloths and potholders, so that's where some blocks will end up. I love seeing a whole heap of things finished, I've really enjoyed the times in the past where I dedicated myself to completing stuff, so I look forward to doing it again now. As for new projects, I want to make gorgeous quilts from my 'good' stash. 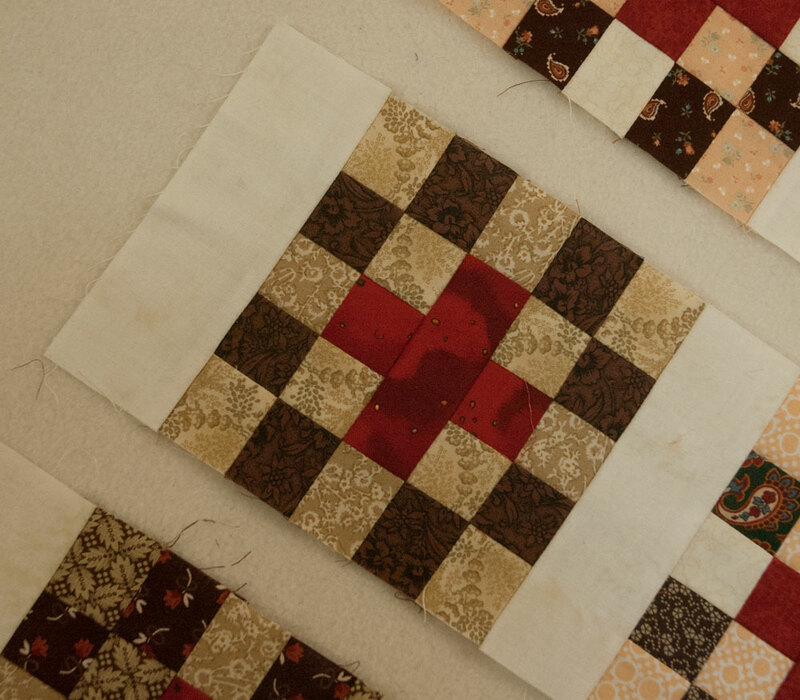 I've spent years making scrap quilts, donation quilts, utility quilts, Use-it-up quilts, and now I want to make quilts that I'm proud of, ones that I would like to be associated with. Time to finish an applique quilt, instead of just starting the blocks. Time to piece something intricate and original. 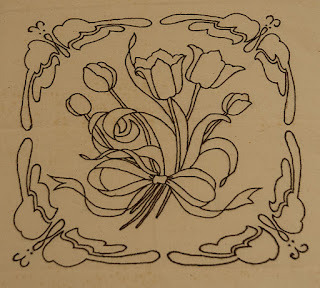 Maybe design a stitchery quilt, or a celtic knot. Maybe I won't get time for any of that, but it's fine to have all those new projects as goals. Aim high and far, and see where I end up. 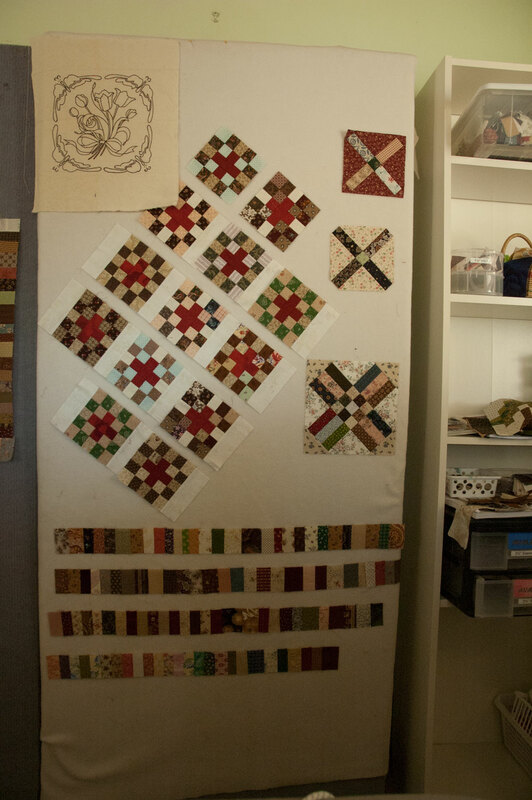 The sewing room is set up the way I want it, just have to bring my design wall down from the hall. I love having enough space to have an ironing board set up next to the machine, and whenever space permits I like to have a U-shaped sewing area. Just knowing that I have things arranged the way I like it makes me want to get in there and sew, sew, sew. 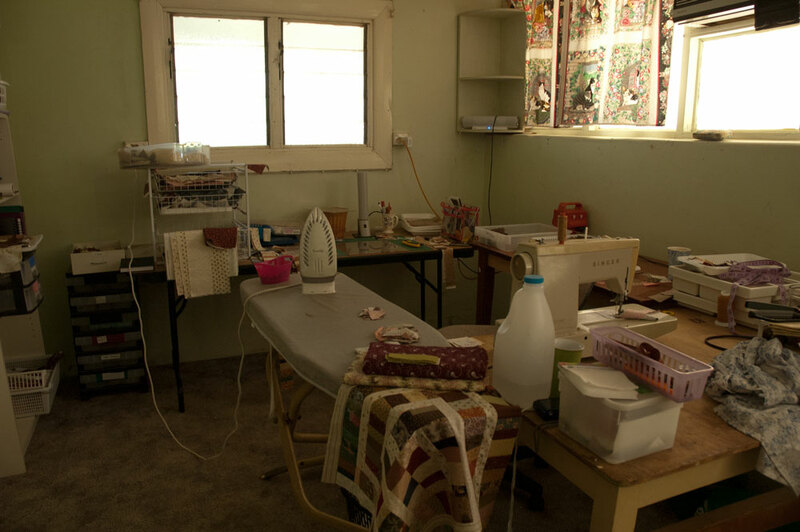 This area is an enclosed verandah at the back of the house, and it's plenty big enough for my sewing, and to have the treadmill set up. It's such a luxury having space again. 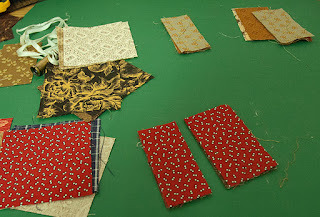 I haven't brought any of my stash to the new house, I want to work on the precut pieces I have,and sew up a kit or two. It would be counter-productive to clutter up my sewing space with fabric that I'm not actually using, and it's nice to have a lightened version of my sewing space. There's room to move, and no piles of stuff to make me guilty. I should be able to get some things finished in my streamlined setup. The last time I was in Adelaide I bought some material that I needed to finish two tops, and then left the bag on the couch at John's place, so I haven't been able to complete those. How infuriating! I will pick it up next time I visit. 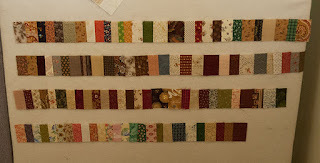 All last year it seemed I was working with 3.5" strips, and I had lots of scraps after I'd cut out what I needed for my projects. I cut the ends of the strips into squares, 2 or 2.5" slices, or 1.5" bits. I just stockpiled them all through the year, and now it's time to do something with them. 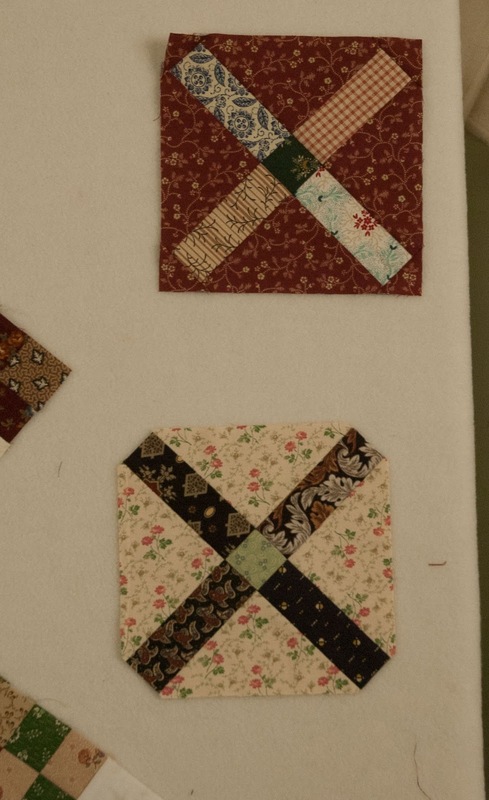 I had these cross blocks in mind all along, though I don't have a final quilt layout planned. I just know I want lots of them, and I'll have fun coming up with an arrangement later on. First I need to cut lots of the triangle pieces and then I'll be off, sewing like a mad thing. Oh good golly gosh! I'm a tired little vegemite. We had a very busy weekend, lots of socialising and twice as much gardening, and now it's time to start work for another week. I think I'll come home after the postie run and have a nap. 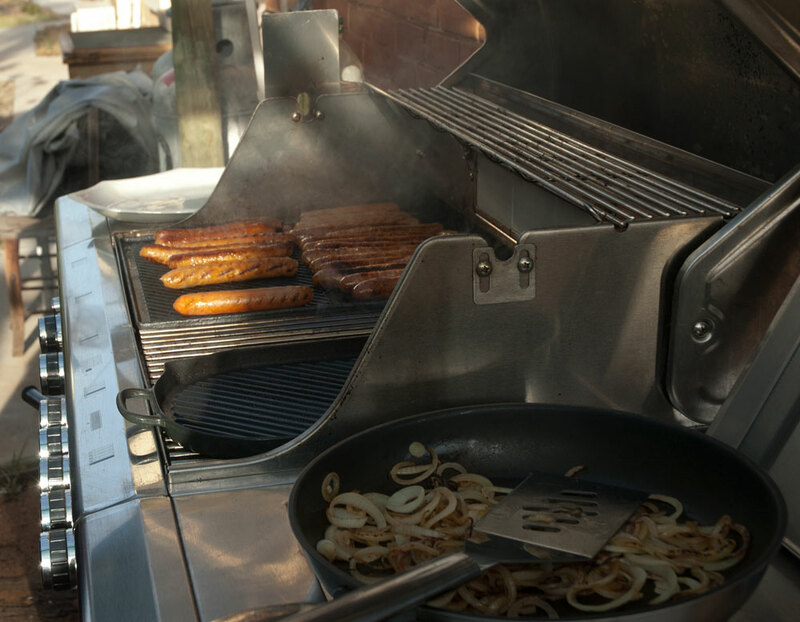 We had a family barbeque on Friday night, which was lovely. It's hard to get all of us together over Christmas, with extended family committments, so Friday was the first date that suited everyone. We had a wonderful meal, sausages and steak and onions, with lots of salads and bread from the local bakery. Yum. Our sister-in-law Susy is Italian, she was born in Italy and raised in Australia, so is bilingual. We begged her to teach us some Italian words but she wouldn't; she did thank Bev for hosting the meal. It started off 'Grazie, Beverley...' and then it was just a musical flow of sounds. I would love to learn Italian, I think that should be a resolution for the new year. Then one day, when I eat my way around Italy, I will know what to order....and how to express my appreciation. 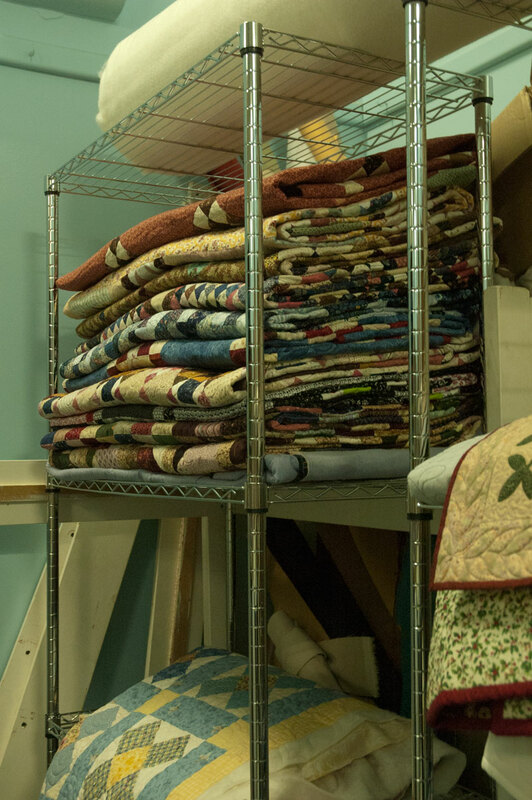 It's been lovely and cool and rainy, good weather to sort through piles of quilts and lay them on the bed for a rest. They've been folded up for nearly a year, so it was more than time to go through them. We'll let the folds relax for another few days, then refold them onto my new shelves. I was lucky enough to find three sets of these steel shelves, and I think they will make a good home for our teetering piles of quilts. The garden kept me busy, it was ideal weather to get things repotted and comfortable for the next hot spell. 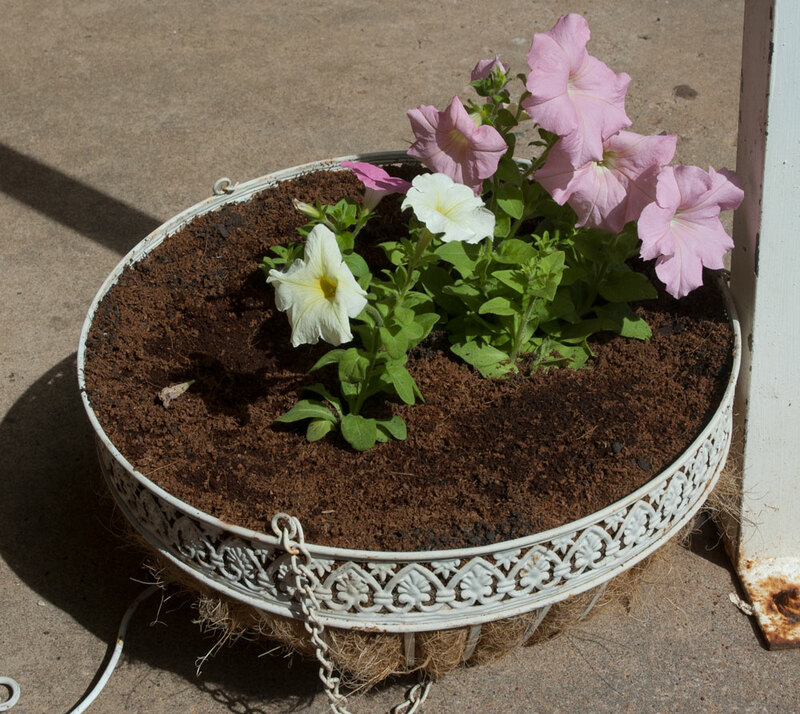 I fell in love with a hanging basket of petunias in a nursery, but balked at the $25 price tag, so I bought a heap of seedlings and hopefully mine will end up even nicer. It's a lovely hanging basket, I've had it for a few years and wish I'd bought another two or three, as I haven't seen them again. I'm gradually getting my sewing room set to rights, but it's a slow business. Everytime I sew something I end up with a gigantic mess. I need to find everything a home. I put together 5 sets of metal shelves, now I just need to get everything organised. Each set has between 68 and 76 bolts, so I've tightened at least 350 this weekend. I'm a bit over the whole 'some assembly required' thing, especially as Mereth and I built a pantry cupboard for her as well. I have earnt myself some sewing time this week. My containers full of strips and snippets and bits are overwhelming me, so I will be working hard to empty a few. 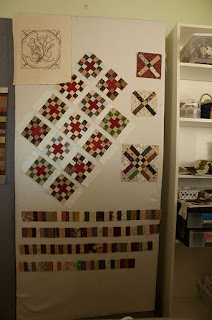 A blog reader sent me this link to a project she's working on, inspired by a scrap quilt I made 3 years ago. Diane has done a wonderful job, her quilt is beautiful. 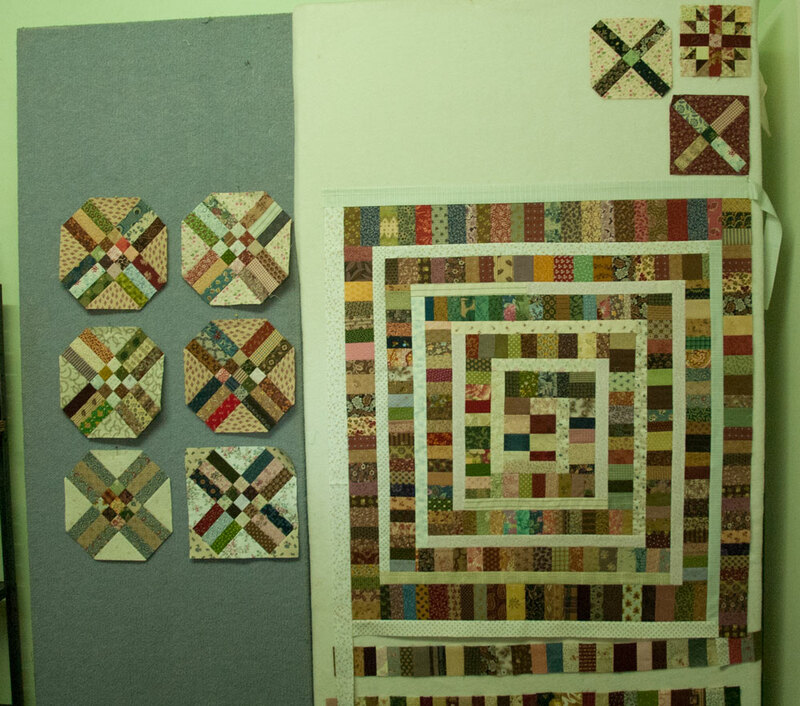 It makes me want to play with my scraps again.